I think today was a satyr. "Come puny mortals. Come and face your end." Emissary Roman'khan was an anubisath construct who served the Qiraji. He was tasked with relaying the commands of the Qiraji to the Silithid Hives in Silithus. Adventurers, with the help of several members of the Explorer's League, were able to intercept communications between the Silithid and the Roman'khan. Using that knowledge, they were able to summon the Emissary into a trap, where they destroyed him. I'm back, everyone! With a week's worth of WarCraft calendar for all! In case you missed them, Laj, Rage Winterchill, Garr, and Emissary Roman'khan are all where they should be. I scored 1/4 for my guesses. General Angerforge was the commander of the Dark Iron dwarves' army. He commanded their forces against the armies of the Dark Horde, the Black Dragonflight, the New Horde, the Alliance and pretty much everyone because the Dark Iron Clan had no friends. A brilliant tactician, General Angerforge was responsible for wiping out the 109th Division of the Kargath Expiditionary Force, an act which earned him the eternal ire of Warlord Goretooth. He also confiscated some of Marshal Windsor's notes, which he and Golem Lord Argelmach were in the process of decrypting. Warlord Goretooth launched Operation: Death to Angerforge, in an effort to assassinate the general. It ended in failure. Alliance adventurers, seeking Marshal Windsor's proof of Lady Prestor's true identity and to unravel the vast dragon conspiracy that had taken control of Stormwind, were able to recover Windsor's notes from Angerforge and Argelmach. Angerforge survived this attempt on his life as well. Following the death of Emperor Thaurissan, Moira Bronzebeard's ascendency to Queen-Regent of the Dark Iron Clan, and the resulting schism between the Dark Iron dwarves loyal to her, and those still loyal to Ragnaros, it is unknown what, exactly, his fate was. He may have finally been killed by agents of Warlord Goretooth, or else perhaps he's joined the Alliance military alongside his new Queen-Regent. We now return to our regular schedule. "Enter my domain and challenge the might of the Scourge!" Baron Rivendare was a death knight in the service of the Lich King. In life, he had been a noble, owning a vast swath of land around the city of Stratholme. He was also a close friend of Kel'thuzad, who convinced him to join the Cult of the Damned. For his loyalty, Rivendare was transformed into a Death Knight, and was given lordship over the ruins of Stratholme. As the master of Stratholme, Baron Rivendare was forced to contend with the near constant attacks by the Scarlet Crusade, Argent Dawn, and other adventurers. Among those seeking his destruction was his own son, Aurius Rivendare, a former paladin of the Silver Hand. He eventually took Ysida Harmon, a priestess of the Argent Dawn, hostage, threatening to execute her should anyone attempt to assault his domain in Stratholme. While this threat seems to have deterred some, ultimately it just seems to have spurred adventurers to try to kill him faster. He was eventually killed by agents of the Argent Dawn, who claimed his head of proof of the deed. Aurius was killed during his attempt to destroy his father, or else maybe he was killed by blood elf paladins who sought to desecrate the church he had taken shelter in. Ysida was successfully rescued by adventurers, who were able to break through the Baron's defences in forty five minutes or less. "The Scourge will consume you!" Baron Rivendare was soon reunited with his head, however, and restored to fully functional undeath. He soon joined the Knights of Acherus in their assault on the Scarlet Enclave. He initially served as an advisor to the leader of the Knights of Acherus, Darion Mograine, before commanding the assault on the town of New Avalon personally. He left quietly following the defection of the Knights of Acherus. With the destruction of the Scarlet Enclave, Kel'thuzad recruited his old friend to join his Four Horsemen, replacing the lost Highlord Mograine. Braon Rivendare readily accepted Kel'thuzad's offer, and joined Naxxramas in Northrend. He left the command of Stratholme to his son, Aurius, who had since fallen and was subsequently transformed into a death knight. Baron Rivendare was defeated by adventurers when they stormed Naxxramas as it lay siege to Wintergarde. He has since likely recovered, and has seemingly chosen to focus on winning Naxxramas' Hearthstone tournament, rather than opting to return to Stratholme. "Flood of the deeps take you!" Morogrim Tidewalker was a sea giant in the service of Lady Vashj. He likely followed the naga from Azeroth, as Draenor's giants tend to be more cyclopian. He was likely disappointed by Outland's lack of oceans. He was killed by adventurers when they ventured into the Serpentshine Caverns. "Anyone want to take a break? Well, too bad! Get to work, you oafs!" Gilnid was a goblin smelter in the employ of Edwin VanCleef and the Defias Brotherhood. He was in charge of the large smelter deep within the Deadmines, and was tasked with producing new cannons for the Defias' Brotherhood's refurbished ogre juggernaut. He may have also been the one responsible for producing the harvest golems that plague Westfall. Gilnid was killed by adventurers when they stormed the Deadmines looking for VanCleef's head. When Vanessa VanCleef reformed the Brotherhood, she did not require the services of a dedicated smelter. As such, the goblins in her employ use the old foundry as a workspace to produce more harvest golems. Their current project, and new boss for the area, was a powerful and advanced harvest golem known only has Foe Reaper 5000. Commanded by Rend Blackhand, the Dark Horde has not given up on its battle to claim Azeroth. Jed Runewatcher was an orc warrior and member of the Dark Horde. He liked to watch runes. He was killed by adventurers. "Sweep the leg... Do you have a problem with that?" 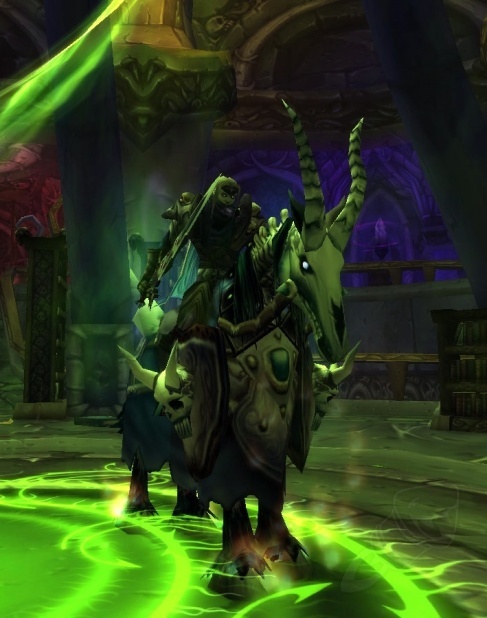 Instructor Razuvious was a death knight in the service of the Scourge. He was tasked with training new death knights in combat. He normally trained death knights in his classroom in Naxxramas, although he was briefly loaned to Acherus to help train the newly formed Knights of Acherus in order to help prepare them for their assault on the Scarlet Enclave and Light's Hope Chapel. He was a deadly combatant, famous for the incredible strength of his sword strikes. It was said that only one of his students could hope to withstand his blows for long. Razuvious was killed by adventurers during a joint operation between the Scarlet Crusade, the Argent Dawn, and some of his mind controlled death knight students. He recovered from that, and was back to training death knights during Naxxramas' attack on Wintergarde. There, he was defeated by adventurers once more, likely using the same trick as last time. He has likely since recovered, and is now training death knights on how to play Hearthstone. Baron Geddon fought for Ragnaros against the titans and aided in the betrayal of Thunderaan, Prince of Air. Baron Geddon was a loyal lieutenant of Ragnaros. He had once served as Ragnaros' majordomo, however he lost his position to Executus after being defeated in battle. Geddon has been conspiring to get it back ever since. Geddon, along with his former comrade Garr, helped Ragnaros to defeat Prince Thunderaan. The Fire Lord tasked Geddon and Garr with guarding the two halves of the talisman that contained the remnants of Thunderaan's essence. Over the centuries, Geddon has becoming increasingly concerned that Garr desires to unite the talisman and become its sole guardian. This suspicion was likely fueled by Shazzrah, who had hoped to turn the two elemental nobles against each other, so he could claim the talisman for himself. Following Ragnaros' summoning to Azeroth by the Sorcerer-Thane Thaurissan, Baron Geddon joined his master in the Molten Core under the newly formed Blackrock Mountain. He remained there, waiting for the day when his master's power would be sufficient to burn all of Azeroth, but instead they were all defeated by adventurers and banished back to the Firelands. Baron Geddon's banishment proved to be short lived, however. Following the Cataclysm, Deathwing and the Twilight's Hammer summoned Ragnaros and his minions to Azeroth once more. This time, they were tasked with assaulting Mount Hyjal, and destroying the World Tree there. Baron Geddon had been tasked with leading the assault. While initially quite successful, Baron Geddon was defeated and banished back to the Firelands once again, as adventurers and the Defenders of Mount Hyjal were able to begin turning the tide of the battle. 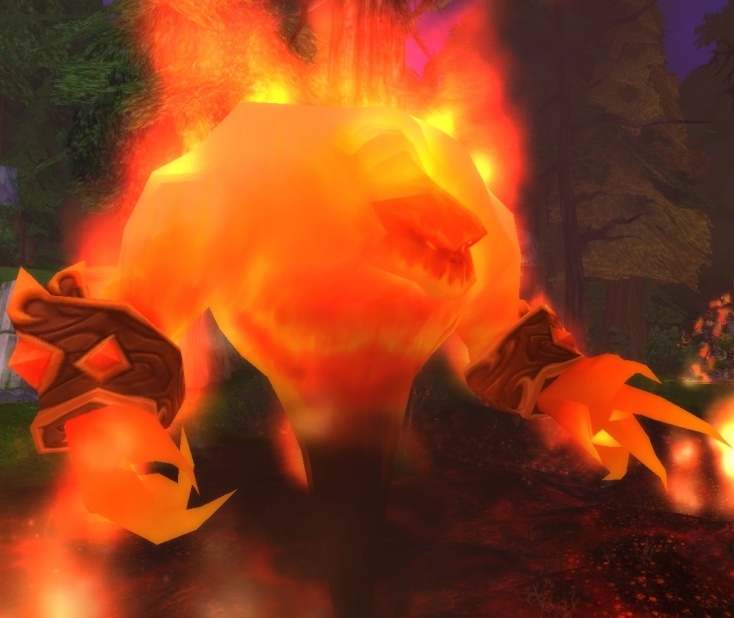 The adventurers eventually launched a counter-attack into the Firelands and killed Ragnaros. Baron Geddon is amongst the top contenders for succeeding Ragnaros as the new Fire Lord. Saidan Dathrohan was a knight of Lordaeron, one of the four first paladins, a founding member of the Order of the Silver Hand and a founding member of the Scarlet Crusade. He, alongside Uther the Lightbringer, Tirion Fordring, and Turalyon, was chosen to serve as one of the first paladins during the Second War. Following the Second War, Saidan settled in Stratholme, where he continued to command the Order of the Silver Hand, and help to train new paladins from the Silver Hand Bastion. He personally commanded a unit that was called to Hearthglen, at the request of Barthilas, a young paladin under Tirion's command, who believed that there was a large orc force lurking near the town. As it turned out, the orc force was a single orc. When Saidan attempted to arrest the orc, and take him into custody, Tirion intervened. With no other choice, Saidan was forced to arrest Tirion on charges of treachery instead. He served as a witness at Tirion's trail, and was sad to see his friend found guilty, stripped of his titles, and sent into exile. The guilty verdict given to Tirion did not sit well with Saidan, however, and he hoped that one day, Tirion would be redeemed. With the arrival of the Scourge, and the beginning of the Third War, Saidan fought alongside the Order of the Silver Hand, even after the Order was disbanded by Prince Arthas. As the Kingdom of Lordaeron collapsed, Saidan, along with Isillien, Abbendis, and Alexandros Mograine banded together to form a new order of the holy light, the Scarlet Crusade. 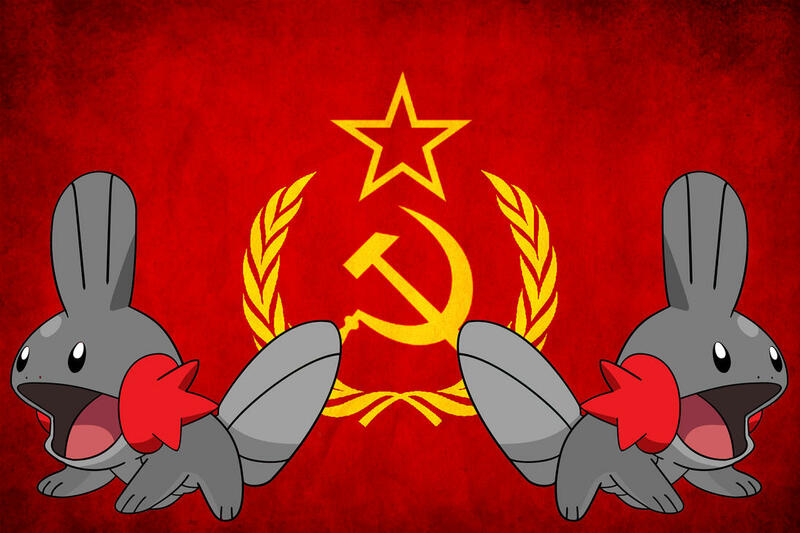 Together, they worked to turn the tide against the Scourge. Thanks to their efforts, they were able to ensure the survival of Hearthglen, Tyr's Hand, and many small villages and enclaves throughout the former kingdom, against the Scourge. Still, the Scarlet Crusade's leaders agreed that just holding onto what was left was not enough, and so they launched an assault on of the Scourge's strongholds, the ruined city of Stratholme. During the battle, Saidan was separated from the Crusade's main force. It was during this time that he encountered the dreadlord, Balnazzar. The two fought, but in the end Saidan was captured and killed. Balnazzar then proceeded to possess the dead paladin's corpse, and gave it the semblance of life. In his new guise, Balnazzar used Saidan's position and authority within the order to slowly take complete control over it, and then proceed to reforge it into the tool of revenge he required. And now, the main event! "Face the true might of the nathrezim!" Balnazzar was a dreadlord in the service of the Burning Legion. He had been sent to Azeroth, alongside many other dreadlords, to help ensure the loyalty of the Lich King, the Scourge, and prepare the way for the Burning Legion's invasion. He, and his brothers, Varimathras and Detheroc, were tasked with overseeing the Scourge forces that ruled Lordaeron at the end of the Third War. He was, effectively, the ruler of the whole of Lordaeron, and may be the last person to be able to truly make that claim. When Arthas returned from Kalimdor, bearing news of Archimonde's defeat, he and the Lich King were quick to announce their true loyalties, and drive out the Dreadlords. Having been driven out of the ruins of Lordaeron's Capital City, they reconvened deep within the Tirisfal Glades, and plotted their revenge. With the Lich King's powers waning, and his control of the Scourge weakening, the Dreadlords were able to restore their control. Detheroc opted to take control of the remaining Alliance forces in Lordaeron, while Balnazzar retook the Capital City as his base of operations. Sadly, they overlooked some of the Scourge's stronger willed former servants making their own bid for power. Sylvanas, having been denied her chance to kill Arthas once and for due to the interference of Kel'thuzad, had decided that she could at least take over Lordaeron and deny Arthas the kingship he held so dearly. Gathering up as many of the lost and confused former minions of the Scourge, she was able to defeat Valimathras, who promptly swore his loyalty to her in order to save his own hide. Together, they defeated Detheroc, and banished him back to the Twisting Nether. They then allied with the Alliance remnants, under the command of Grand Marshal Garithos. Together, Sylvanas, Valimathras, and Garithos launched their attack on Balnazzar's forces in an effort to reclaim the Capital City. Balnazzar's forces were defeated, and the dreadlord soon found himself cornered by his enemies. Sylvanas ordered Valimathras to slay his brother. Valimthras protested, claiming that it was forbidden for one dreadlord to harm another, but that just made Sylvanas want to see him kill Balnazzar even more. Conceding, Valimathras slew his brother. Or so it was believed. Whether Balnazzar recovered very quickly as dreadlords are notoriously hard to permanently kill, or else he and Valimthras merely staged his death is unknown. Either way, Balnazzar returned soon after. Still desiring revenge against the Scourge, and now the Forsaken too, Balnazzar killed and possessed the corpse of Grand Crusader Saidan Dathrohan. In his guise as the Grand Crusader, Balnazzar went about slowly corrupting the Scarlet Crusade. The first order of business was achieving full control of the Scarlet Crusade. To that end, he needed to eliminate one of the Scarlet Crusade's greatest champions, Highlord Alexandros Mograine, the Ashbringer. To ensure the Highlord's demise, he made a brief alliance with Kel'thuzad, who also feared the Ashbringer's power. Together, they sett up a trap within the burning ruins of Stratholme. He then turned Mograine's own son, Renault, against him. Promising the young paladin power, prestige, and even the Ashbringer itself, if he would help him eliminate Mograine. In the end, Renault stabbed his own father in the back with the Ashrbringer, killing him and corrupting the holy sword. Although Kel'thuzad gained a powerful new minion that day, in the form of the death knight he created with the remains of Highlord Mograine, Balnazzar had successfully eliminated the greatest threat to his position within the Scarlet Crusade. Balnazzar claimed the Scarlet Bastion, a former barracks of the Silver Hand in Stratholme, to serve as his new headquarters. With his position secure, he began spreading rumours within the Crusade, of undead spies, who looked and acted like the living, but were in fact deadly agents of the Scourge. He was no doubt amused as paranoia and suspicion consumed the Scarlet Crusade, as he, possessing the corpse of Saidan Dathrohan, was one of those undead infiltrators. Balnazzar was also responsible for the creation of the Headless Horseman. Having purposely led Sir Thomas to the village were his family had taken shelter, and convincing him that it was plagued and that it needed to be cleansed. Driven mad with grief, Sir Thomas lashed out against his fellow Scarlet Crusaders. Balnazzar then issued the order to execute Sir Thomas, as there was clearly nothing that could be done for him. Before Sir Thomas was interred within the Scarlet Monastery's graveyard, he cursed the fallen knight to rise each Hallow's End as a death knight, and spread fear, despair, and fire. He also killed Jarien and Sothos, two former mercenaries who desired to become Scarlet Crusaders. While he claimed they failed their initiation tests, it seems likely that they might have had the potential to be good crusaders after all. Ultimately, however, despite all his machinations, Balnazzar's schemes were undone by adventurers. Storming the Scarlet Bastion at the request of the Argent Dawn, they fought Saidan Dathrohan. Forced with the possibility of his own destruction, Balnazzar shed his disguise and fought them in his true form. That wasn't enough, however, and Balnazzar was defeated. Taking the dreadlord's head with them as proof, they reported the terrible secret they uncovered to the Argent Dawn. "Damn you mortals! All my plans of revenge, all my hate...I will be avenged..."
Losing his head seems to have only been a temporary setback. Following the Cataclysm, Balnazzar was restored once more. Having no more need of his disguise, but still being in need of minions, Balnazzar slaughtered the surviving Scarlet Crusaders within the Scarlet Bastion, and Tyr's Hand, and raised them as his own undead army, the Risen. This may have been a mistake, however, as the living Crusaders were vastly more powerful then their Risen counterparts. Balnazzar had no doubt hoped to take advantage of the disarray that the fall of the Lich King had left the Scourge in. Instead, he found himself stymied at every turn by the Argent Crusade and their adventurer friends. First, Tyr's Hand fell to the Argent Crusade, as they cleansed it of the Risen Crusaders, and then they turned their attention to his base within Stratholme. He was soon defeated once again by agents of the Argent Crusade, as they made an effort to reclaim the city from the undead forces occupying it. Considering his track record, and how temporary death is to most dreadlords, he will no doubt be back again one day. Mother Shahraz was a shivarra demon in the service of the Illidari. As a demon in Illidan's service, she likely had the opportunity to feed on the pure arcane magic stored within the Shrine of Lost Souls, freeing her of her addiction to the Legion's fel magic in return for swearing allegiance to Illidan. She dwelt within the Den of Mortal Delights in the Black Temple, and seems to have been in charge of its seemingly random harem. She was killed by adventurers when they stormed the Black Temple. As a boss in the Black Temple, it seems likely that she'll show up in some capacity in the Demon Hunter's starting area in Legion, as Blizzard has claimed that they intend to explain what, exactly, Illidan was up to in there before he got killed by adventurers. "By Thaurissan's beard! Slay them!" 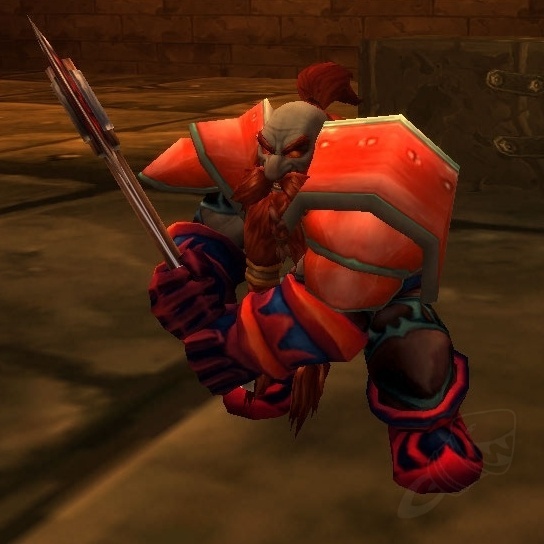 Galgann Firehammer was a dark iron dwarf, and a member of the dark iron senate. He was tasked by Emperor Thaurissan to secure the recently uncovered Titan ruin of Uldaman against Ironforge's Explorer's League. To that end, he and his agents secured a position within Dig Site 3, and fortified it to defend themselves against the titan constructions, troggs, archaeologists, adventurers, and other dangerous things that dwelt within the ruins. Galgann and his agents were killed by adventurers as they explored Uldaman. I got to play through (what i think is) the demon hunter starting area at blizzcon. it was pretty cool but I believe all the characters there were new, other than illidan mindspeaking to you. I'm pretty sure that the time period for that starting zone is during the attack on black temple because they keep mentioning needing to finish the mission to help lord illidan. you summon a whole bunch of dudes (some brokens some nagas and some shivari (shivarras?)) but I didn't recognize the names. I was partially distracted by the attempt to re-create the barrens chat in the private realm (where is mankirks wife? XROADS IS UNDER ATTACK! chuck norris once unbent a paperclip and it was totally straight) but it does touch on the viewpoints/stories of the illidari axis powers. Not sure if they're really going to go into much of the history though as it is happening during the siege of BT so the alliances are already in place. but then again it was just a little mini zone, might not even be the full "starting" experience. Pretty fun though, I can see demon hunters being instantly OP. "Mess with this boar, and you're likely to be gored." Agathelos the Raging was an angry pig. The quillboar at Razorfen Kraul kept him, preparing him for the day when he would be unleashed upon the enemies of the quillboar. He was killed by adventurers. Following the Cataclysm, the quillboar at Razorfen Kraul still hadn't been able to find a suitably sized replacement.